The Alberta Court of Queen’s Bench has upheld an arbitrator’s award reinstating an employee who was terminated for “innocent absenteeism.” “Innocent absenteeism” describes a situation in which an employee is regularly absent, normally for reasons out of the employee’s control (such as a chronic health condition). 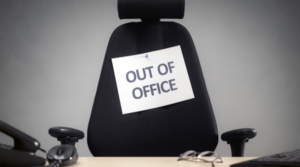 If an employee is regularly absent, the employment contract can be said to be “frustrated”, meaning that a change in circumstances beyond the control of either party has made it impossible for the contract to be honoured. Innocent absenteeism can justify termination, but only if the employer is genuinely unable to accommodate the cause of the absenteeism. Importantly, an employee terminated for innocent absenteeism is still entitled to disability payments if applicable. 1. Firstly, the employer must demonstrate that the employee’s absences are “excessive” in relation to the circumstances of the employment relationship. 2. Secondly, the employer must demonstrate that there is no reasonable likelihood of the employee returning to full-time work in the foreseeable future. CN applied this test unilaterally and terminated the employee. The Union grieved. The arbitrator held that, while CN had correctly applied the test for innocent absenteeism, it had failed to consider its non-discrimination obligations under the Act. Specifically, it had not discussed the possibility of accommodation with the Union and the employee. Accordingly, the arbitrator allowed the grievance and ordered the employee reinstated. CN sought judicial review. In Canadian National Railway Company v Teamsters Canada Rail Conference – Conductors, Trainpersons, Yardpersons, 2018 ABQB 405, the Court upheld the arbitrator’s decision. In particular, the Court held that the employee had a right to be informed of the danger that his condition posed to his job, and a right to discuss accommodation options with CN and the Union. The employer’s duty to accommodate is an important one. In practice, it often takes precedence over other legal tests. CN had a duty to accommodate while it was applying the standard test for innocent absenteeism, even if the employee had not explicitly requested accommodation. CN was aware of the employee’s disability, and so it had a duty to make all reasonable efforts to accommodate it. Non-discrimination is a guiding principle of Canadian labour and employment law. It has implications for everything that employers do, even if there is another fully developed legal test that governs. Another guiding principle is the importance of procedural fairness. Even if CN is ultimately correct on the merits of its innocent absenteeism claim, it denied the employee an opportunity to discuss accommodation. That procedural error undermined CN’s position.